Moojen got the game off to a quick start, putting Dallas on the board just 31 seconds into the match. Oxford City’s David Malloy evened things up just a minute and a half later, but from there the Sidekicks netted seven consecutive goals. Forward Carlos Videla contributed two and midfielder Nestor Hernandez one, dodging an Oxford City defender’s slide tackle and putting it past goalkeeper Kyle Renfro. Moojen tallied five goals in the half, including a shorthanded goal. Oxford City’s Bernardo Rosa put one past Sidekicks goalkeeper Milo at 13:13 in the second, the Sidekicks taking an 8-2 lead into halftime. Moojen, Videla and Shaun David each contributed goals in the third quarter, as well as Oxford City’s Robson de Souza. The high-scoring action continued in the final fifteen minutes of play, forward Cameron Brown adding a goal of his own, followed by a final Oxford City goal, again from de Souza. A few minutes later Moojen scored his seventh of the match, the most goals ever scored in a single game by a Dallas Sidekick. The team would add two more from Renato Pereira and defenseman Kiley Couch to cement the win, Dallas toppling Oxford City 15-4. The Dallas-Oxford City matchup will continue on Jan. 3 when the Sidekicks are back home at Allen Event Center. Oxford City will make the trip north for a 7:00 p.m. kickoff. This match will be a special one for the Sidekicks as the organization will hold its second-annual Dallas Sidekicks Alumni Game at halftime, where former stars, including Head Coach Tatu, will face off in a scrimmage. Individual and group tickets are on sale for all Sidekicks home games via Ticketmaster. For more information, visit www.dallassidekicks.net or call 469-200-GOAL. 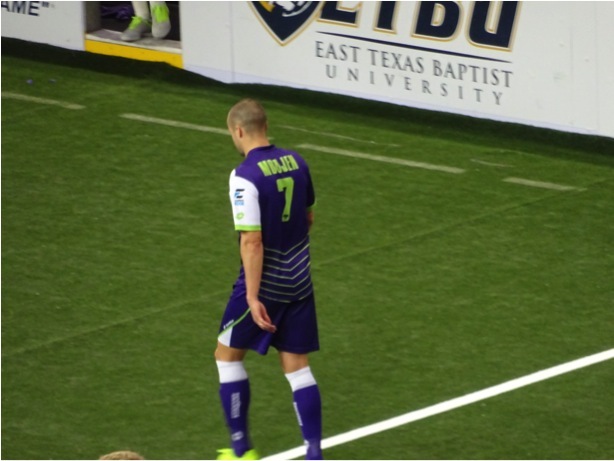 The Dallas Sidekicks are a professional indoor soccer team competing in the Major Arena Soccer League. The team plays their home games at the Allen Event Center. The original Dallas Sidekicks were founded in 1984 and won four indoor championships during their tenure. Led by indoor soccer legend and Head Coach Tatu, the Sidekicks have brought indoor soccer back to Dallas. Follow the team on Twitter and Instagram @GoSidekicks or on Facebook at www.facebook.com/GoSidekicks.